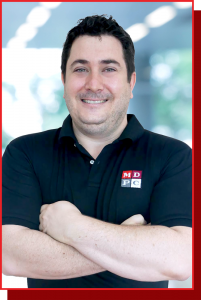 Meet our Team Specialised Service. Partnership Quality. Tyler has worked with over 10 Freight and Customs Companies since entering the freight Industry at an early age of 16 including stints of 3 years with 1 multinational and 5 years with another as well as overseas work in their overseas office in the UK. Completed 2.5 years Tertiary Education at TAFE NSW after hours to be able to sit the National Customs Exam. Obtained Australian Customs Brokers License at age 21. Created A Plus freight and customs services in 2009 during GFC and serviced over 6 companies simultaneously throughout the year in back up customs broker work / classifying. Handled retail clients since 2009 including placing orders with agents or offices, quoting retail work and overall account managing via a network of options to facilitate the client’s needs. Started working on the MDPC concept with first clients via vast networking over the years in June 2015 which was put into action and operating by August 17, 2015. Computer Science Educated prior to entering US Domestic Freight forwarding in 1972. Customer service into domestic sales then into International business. Transferred as Country manager for US-based company in 1978 – initial tenure of 2 years. Opened and expanded the local operation for Airborne Express as Director of Australia and New Zealand until 1986. – grew from 4 to 155 staff. Sold IFS- International Freight Services to UTI- 2000. General Manager for Business Development at UTI gaining and managing a portfolio of A$ 35 million per annum until mid of 2017. 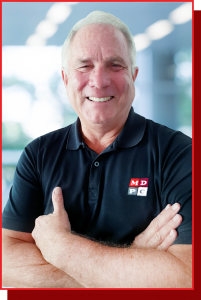 Started MDPC in partnership with his son Tyler Maugle on August 2015. 2017 to current – Actively selling US-Australia co-load services for well established USA operator. Continued involvement in the development of outsourcing both operational functions and improvement in industry software platforms. Over 15 years of experience handling projects, process improvements, operations management, automations and offshoring for shipping, logistics, ship management, consumer goods, analytics, finance, service desk and customer service. Worked for companies that are major players in Shipping and Logistics, Consumer Goods, Ship Management and Global Workplace management. Headed the day to day operations of Key Client accounts, Business Process Improvement, System Support, Automation and Global Marine Payroll Departments. First Certified Lean Six Sigma Greenbelt for the Manila Shared Service Centre of the biggest Shipping Company in the world. Currently overseeing all facets of MDPC Manila management including the preparation for the expansion of night services. Achieved a bachelor’s degree in Customs Administration with over 7 years of experience in Customs and Freight Industry. Worked as a Customs and Forwarding representative handling multiple clients, overseas agents and documentation processing for Import Department. 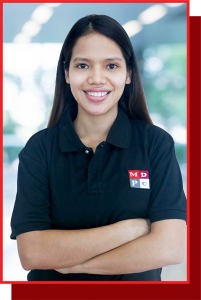 One of the first three hired staff of MDPC Manila. 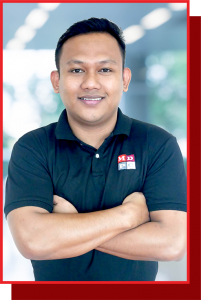 Started as an Operator and climbed the ladder to become the Operations Manager by stepping up when required, demonstrating skills and knowledge in Customs and Freight world and the capability of transitioning and handling new accounts. Played a major role in MDPC’s growth to 7 clients and 30 staff. 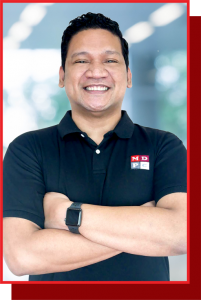 Currently the Operations Manager of MDPC and is responsible for all client accounts in the Manila office. Manages and leads the operations in ensuring teams meet or exceed their targets, implementing new accounts, creating staffing plans, handling escalations and coordinating with the respective department to ensure a smooth transition to operations. 8 years of combined experience handling Human Resources, Administration, Payroll and Finance. Vast experience in recruitment and human resource management for local and foreign companies. Headed day to day management of Human Resources, Payroll & Administration departments for more than 200 employees. Functions include maintaining company policies and procedure, staffing, development, compensation, safety and health, employee engagement and compliance to local labor law and local corporate law. Experience in recruitment, visa processing and compliance on overseas country requirement for overseas employment of Filipino workers. Currently Managing the Administration, Financial Controllership, Human Resource & Development functions within MDPC.